Women on the campaign trail often face challenges and pronounced threats to their safety and security. 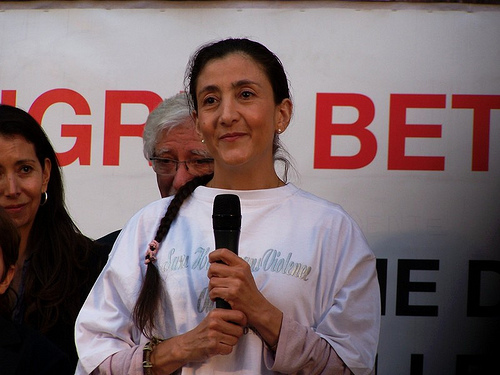 One of the most extreme examples is that of Colombian presidential candidate Ingrid Betancourt, kidnapped by guerilla forces in 2002 during her campaign. After six long years of imprisonment, her release seemed hopeless. On July 2nd, 2008, news broke that she and 14 other hostages had been freed in a daring raid by Colombian commandoes. I.M.O.W. looks back at the remarkable saga of this woman and politician. Ingrid Betancourt uses unusual props in her political campaign. "No more kidnappings." These were the defiant words spoken by candidate Ingrid Betancourt as part of her 2002 campaign for president of Colombia. She was meeting with members of the Revolutionary Armed Forces of Colombia (FARC), a guerilla group, in the Colombian jungle. Just a few days later, Betancourt became FARC's next, and highest-profile, kidnap victim, joining the thousands of Colombians kidnapped during the course of what many call the country's bloody, decades-old civil war. To many, Colombia conjures up images of drugs, corruption and violence. It was within this context that Ingrid Betancourt spent the previous dozen years of her life working to be heard in the world of Colombian politics. Born into a privileged Colombian family, Betancourt grew up mostly abroad, in France, the daughter of a diplomat. It was the 1989 assassination of another Colombian presidential candidate, Luis Carlos Galán, that inspired her to abandon her comfortable life and return to her homeland. Betancourt launched herself as a Liberal anti-corruption candidate in the congressional elections. Politics and electioneering in Colombia are not easy, especially when you are an unknown young woman, with limited funds and unwilling to participate in the pervasive practice of vote-buying. Her only option was to make an unforgettable impact. She did it with condoms. Distributing them on the streets, she offered condoms to the Colombian people as symbolic protection from governmental corruption, as well as from disease. At a time when AIDS was high on the world agenda, this strategy achieved the impact that she needed, and she succeeded in being elected to the House of Representatives. Like many well-meaning activists and politicians, Betancourt's attempts to bring change to Colombia were continually thwarted. Tentacles of corruption and the influence of the drug cartels served their own interests. More than once, threats had been made against her children, a common tactic used by criminals trying to silence changemakers. As a result, Betancourt sent her children abroad to live with their father, her ex-husband, in New Zealand. No longer wishing to be associated with the Liberal Party, Betancourt formed her own party, Oxygen. In 1998, she launched a bid for the Colombian Senate, this time, handing out protective facemasks, hoping to equate corruption with environmental pollution. She won her seat with the highest number of votes ever cast for a Colombian senator. Betancourt's ultimate goal was to have Congress shut down and to create a new legislative body. It was on the day that this bill was thrown out that she decided to stand for the presidential elections of May 2002. With her usual fervor, Ingrid Betancourt threw herself into her presidential bid. She traveled all over Colombia, visiting remote areas where people were unused to presidential candidates dropping by and listening to their views. She traveled in an old Dodge minibus, or "chiva,"--the traditional communal transport used by people to travel between their farms and town. And, of course, no Ingrid Betancourt campaign could be complete without an effective publicity tool. This time, it was Viagra. She took to the streets again, handing out packets of pills in a bid to convince voters that Colombia needed the same reinvigoration they promised. Due to the ongoing influence of special interests, she was deemed to have no chance in the presidential race but she continued to campaign. President Pastrana had opened talks with the FARC, and a demilitarized zone had been created where politicians and rebels could safely meet. When the peace talks collapsed, Betancourt ignored repeated advice and admonitions not to travel there. 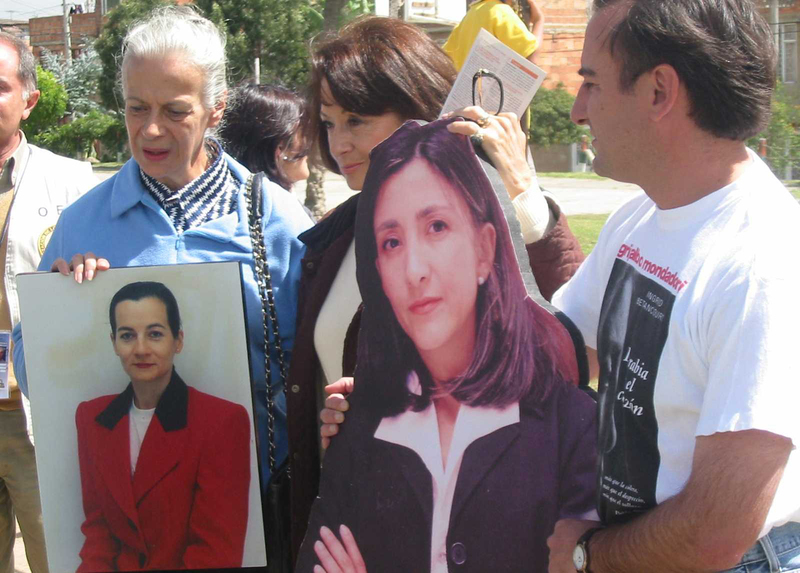 On February 23rd, 2002, she and her campaign manager Clara Rojas were abducted at a guerilla roadblock. In the early months after her capture, a "proof-of-life" tape was released, showing Betancourt in relatively good spirits, considering her plight. Her family and party continued her campaign without her, carrying life-sized cardboard cutouts of the missing candidate. On election day, the kidnapped Betancourt came in fifth among the 11 presidential contenders, earning just over 50,000 votes. As the agonizing months turned into years, impassioned pleas by her family and supporters from around the world failed to secure her release. Hope for Betancourt's survival waned when a videotape surfaced, apparently recorded in October of 2007. In it she appeared painfully thin and frail, with no sign of the once charismatic and defiant politician. Rumors circulated that she was close to death. 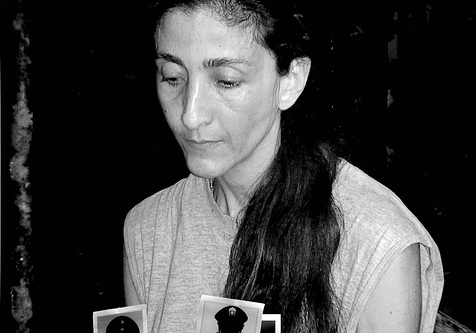 In the first two months of 2008, FARC released Betancourt's aide Clara Rojas with a handful of other hostages. On July 2nd, Colombian soldiers posing as rebels tricked FARC into handing over Betancourt and 14 other hostages, loading the handcuffed group into a helicopter. Once in the air, the astonished hostages were told they were finally free. Ingrid Betancourt emerged from the Colombian jungle pale and smiling. She hinted at but didn't provide details on "torture and humiliation" she had suffered, saying: 'The only thing I've settled in my mind is that I want to forgive and forgiveness comes with forgetting." 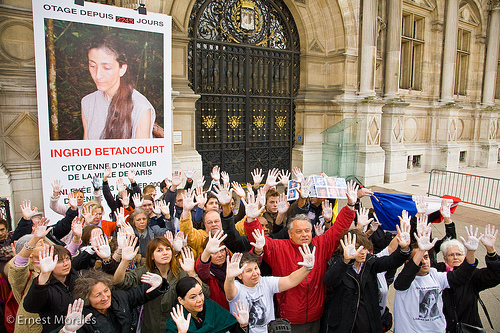 Since her release in 2008, Betancourt has been reunited with her children and family in France. She traveled to the United States in September to give the keynote address at a United Nations conference on the plight of victims of terrorism, calling for a centralized database to catalogue and publicize victims' needs. Maureen Macleod contributed to this story. 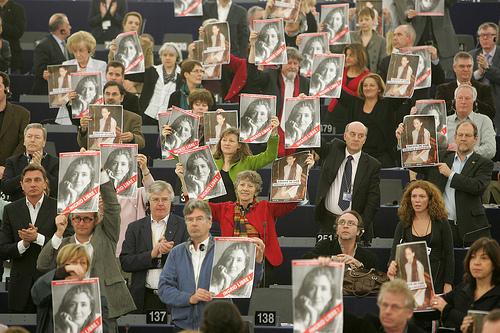 This story was originally published in 2008, shortly after Ingrid Betancourt's release.